I was recently fortunate to be offered a whirlwind trip to the States (or as we call it in the industry a“familiarisation”) through my job as a travel agent and I was thrilled to be spending eight days split between New York & Chicago with a brief stop in San Francisco on the way home. I have been travelling as an agent for many years now and I am use to seeing cities and countries at lightening speed. Although the time frame is short we always hit the ground running, jetlagged? too bad you will be going all day and into the night non stop. The sponsoring suppliers need to get their value for money out of their agents so they certainly know how to pack it in. I am not complaining at all. I thrive on it and the exhaustive nature of the travel is compensated by the heavily reduced pricing that accompanies these industry sojourn’s. What heightened my excitement for this trip was that is was my first famil after a break from the travel industry in which I went off to become a cake decorator. Prior to that I had been managing a new travel agency and the few trips we were offered I did give out to the staff who were newer to the industry and not as well travelled as me. So I had been hankering to get myself back into the game and what better way to do it than a week in the USA! As you may expect as a first timer to New York all my thoughts in the lead up to this trip were centered on the Big Apple. I was so ready to experience that city that all else melted into the background. Of course New York did not disappoint and whilst we didn’t have enough time to really get into the swing a such an expansive city we got a taste of it and I am certainly hungry for more New York. But what caught me completely by surprise was Chicago. Its post snow storm, crisp blue skies enveloped us and the city wriggled it's way deep into my core. 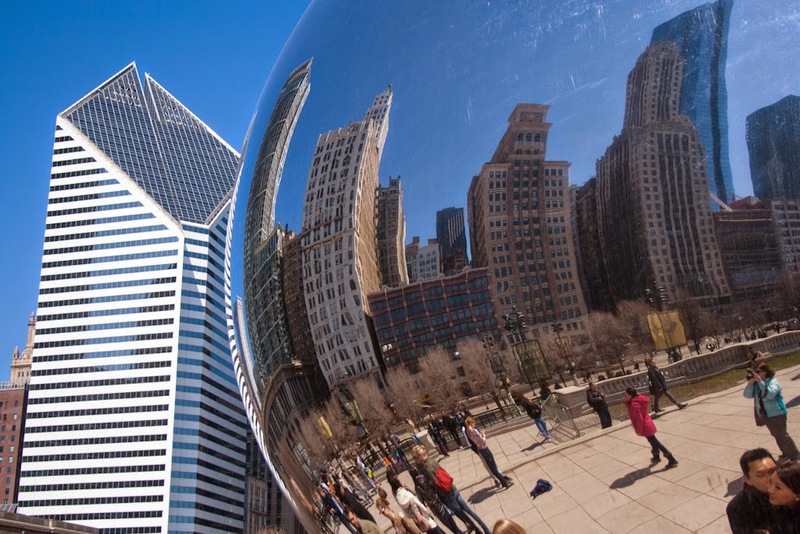 To be honest with more than a decade in the travel industry and sending thousands of people overseas I have never sent a single soul to Chicago and I have never even had anyone enquire about it. It is just not on the radar for Australians which is such a shame. I will put myself out there and I will say that I enjoyed it far more than San Fran which may be unfair to say with my brief single day spent in San Fran and I certainly enjoyed it more than LA or San Diego. It is impossible to compare it to Vegas as it is another world unto itself and I am not game enough to say it was better than New York but I will say it exceeded my expectations and left a real impression on me. Sometimes cities can be elusive in what cements your love of them. 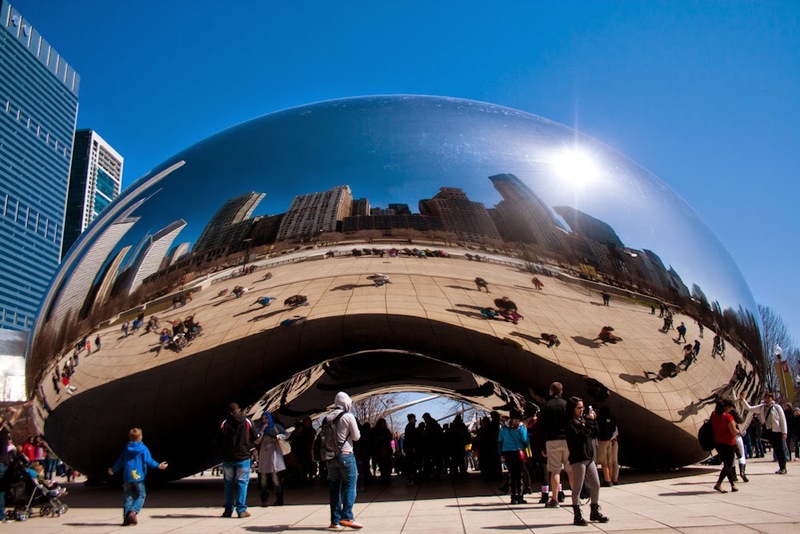 Chicago isn’t in your face saying “I am awesome” like New York is. There isn’t one single aspect I could put my finger on that I would say impressed me the most but I will attempt to convey why you should go there. Starting with the architecture. Now to preface this I know very little about architecture but Chicago intrigued me to find out more. 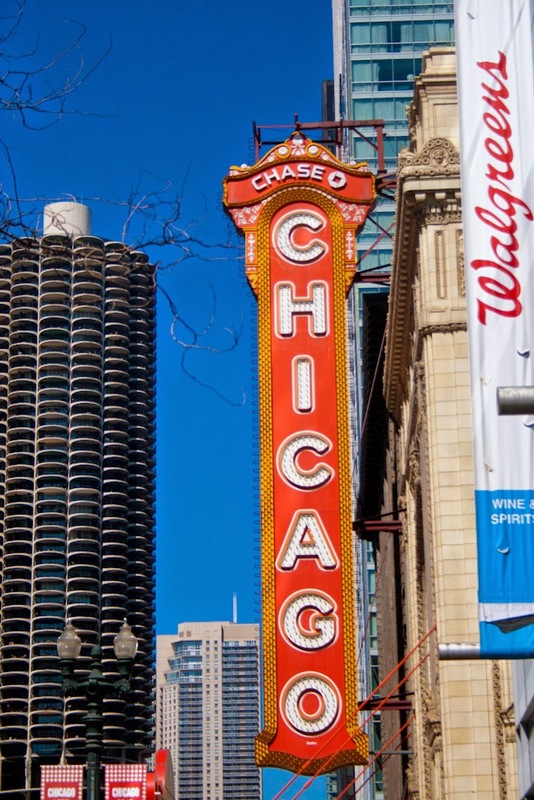 The city area itself is relatively easy to navigate and beautifully laid out along the Chicago River and bordered by Lake Michigan. 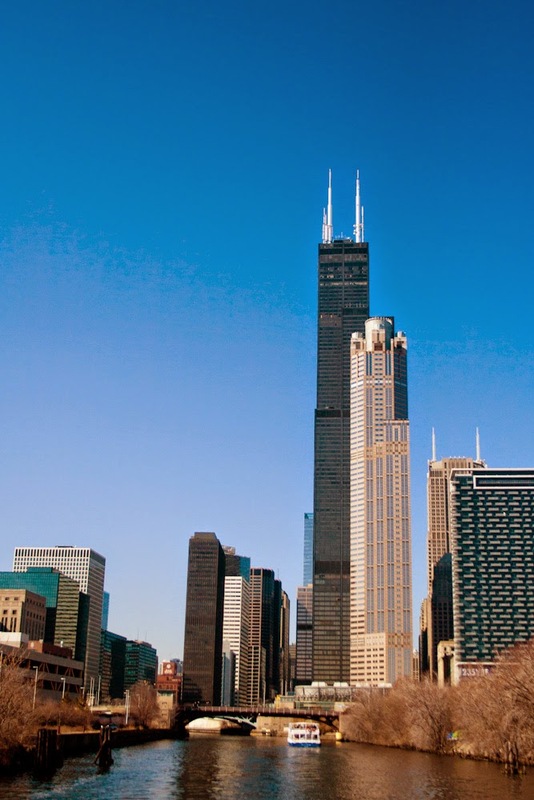 A short cruise along the Chicago River takes you on an architectural journey. I won’t pretend I knew any of this prior to reading it on Wikipedia but it is interesting to note that the buildings are not particularly historical as most of Chicago burnt down in a fire in 1871. I don’t know what was here before the fire but I tell you it may have done the city a favour as what has sprung up since this time is just stunning. I was particularly blown away by the Wrigley Building and the Tribune Tower which gave you the distinct impression that Batman was certainly nearby. 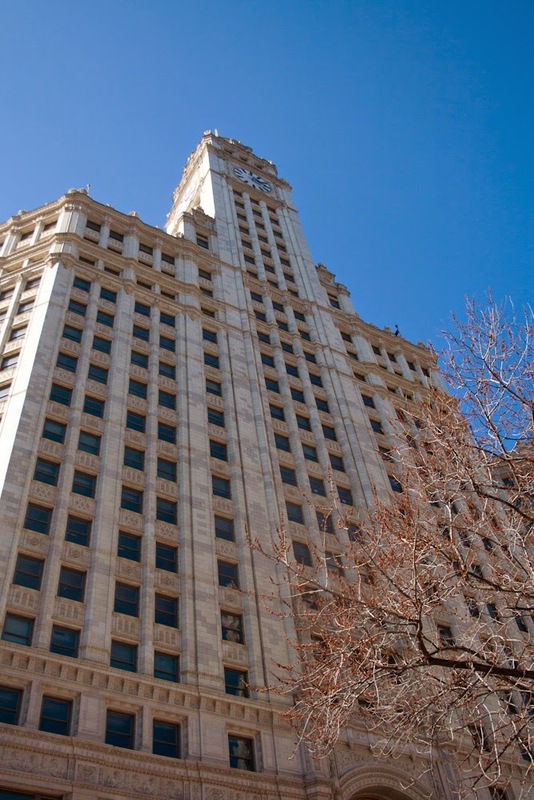 Even in their Neo Gothic, French Renaissance and Spanish Revival glory they don't actually manage to leave the more modern buildings in their wake. 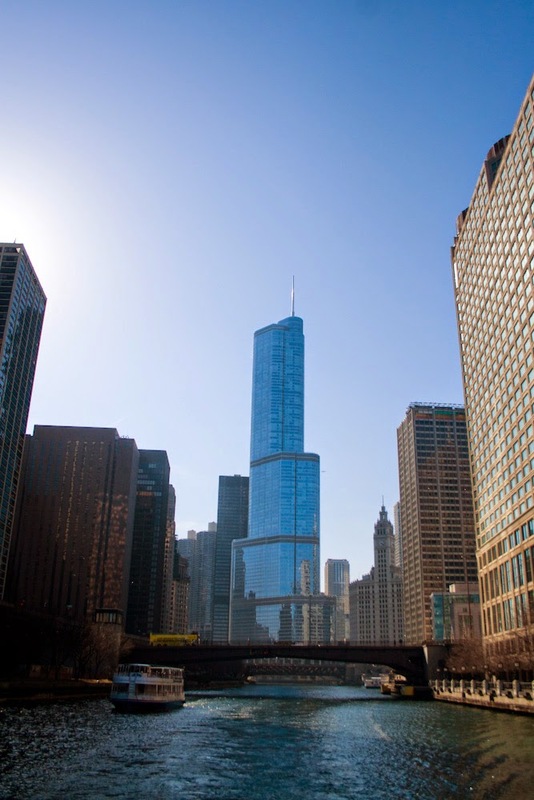 It seems that tradition of great architecture has carried on in the city and even the more modern constructions like Trump Tower hold their own in the skyline. There is just something about American architecture that is epic and that we do seem to lack here in Australia. 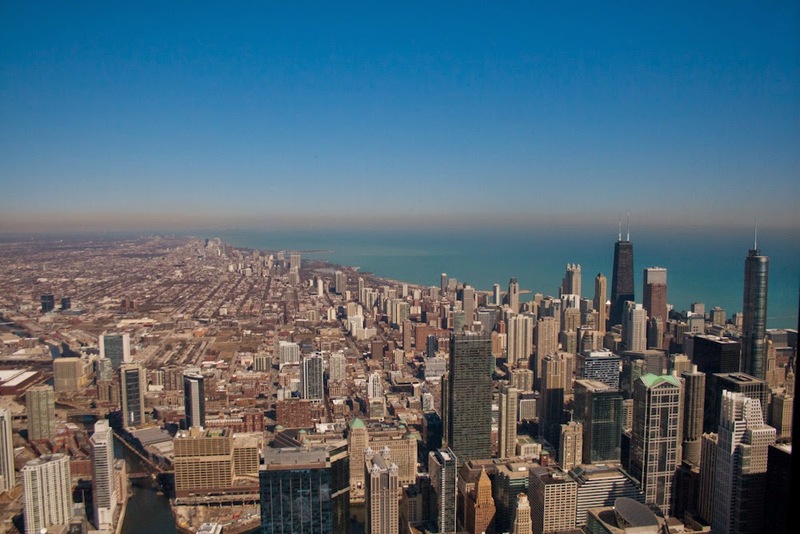 Cities like New York and Chicago just scream wealth and power. The second thing that imprinted on my mind was that lake. Now that is a real lake. Coming from a country where lakes tend to be dry a large part of the year, I was floored by this body of water extending off into the horizon, if I didn’t know better would think was the ocean. Being the end of winter that I was there we didn’t partake in the waterfront activities I believe go on in Chicago, we only viewed from the top of Willis Tower but none the less, wow. The vibe going on downtown was also noteworthy. The streets are clean, the shopping cheap and accessible and at night the streets twinkled with fairy lights in the trees. The restaurants have that classic American dark wood and hanging portraits thing going on. The kind of places you see in the movies and can imagine the Godfather busting out an Uzi in. I also felt very safe and comfortable downtown which is interesting. If you look at the crime rate for Chicago you might think you would be lucky to escape without a gunshot wound but I can only assume this kind of violence is predominantly in the suburbs. Lastly I have to tell you about The Bean. This public artwork mesmerised me, like a fat kid with a lollypop I was spellbound. It’s highly polished mirror finish reflected and warped the surrounding buildings and from every angle the image moved and changed. It provided me endless entertainment and without the strict schedule I may have stayed for many hours, staring into the psychedelic abyss. I don’t know why Chicago doesn’t have a place in the heart of Australian travellers. All I can do is help spread the word about this amazing city and hope more Aussie’s discover it’s wonders soon.